Animal Kingdom is one of the most unique parks in Disney World when it comes to food. With so many different countries divided across the park there are incredibly unique eateries and restaurants for adventurous eaters and picky ones alike. 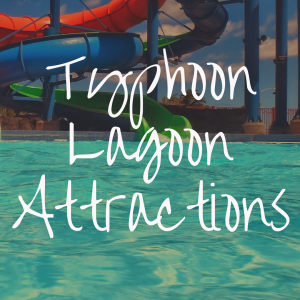 If you’re looking for family-friendly eating options that will also bring an incredible experience, then you’re in the right place. With so many options at Animal Kingdom it can be a bit overwhelming to pick and choose which restaurants work best with your palette, schedule, price range, and more. Here we’ll rank and discover the top 5 best restaurants in Disney’s Animal Kingdom to enjoy and indulge in during your visit. Let’s start with one of the best quick service eateries you can find in Animal Kingdom – if you’re a cheese lover. The Eight Spoon Café is located in Discovery Island across from Adventurers Outpost and right before walking across the bridge to Asia. Here you can expect quick service with a limited menu but the star of the menu are their mac and cheese options. You have your basic three cheese baked mac and cheese along with two indulgent mac and cheese toppings and flavors. You can have the pulled pork mac and cheese, or one topped with shrimp and a sweet chili sauce. The sweetness of the shrimp is a unique flavor and surprisingly delicious in the mac and cheese. Eight Spoons Café won’t fill you up completely and is not really a place to get a meal, but it’s an excellent place to pick up a savory snack to keep you going. It’s a great option to eat earlier during the day before riding any extreme thrill rides such as Expedition Everest since you won’t have an entirely full stomach by the time you ride. If mac and cheese isn’t your speed, don’t worry. Eight Spoons Café serves chips, drinks, and the iconic Mickey pretzel with an ooey gooey cheese sauce. The Mickey pretzel can be found in various quick service eateries across all of Disney World. But, just because it’s widely available doesn’t mean Eight Spoons Café is any less special for offering such a delicious iconic Disney treat. Pricing at this quick service cart is greatly affordable with the main mac and cheese dishes averaging around $5-$6. This is meant to be a quick easy snack during your trip so don’t expect a full dining experience along with this café. In fact, the mac and cheese are given in handheld bowls and there is no official outdoor seating for this cart. The closest seating would be near or behind Adventurers Outpost. This isn’t too far but I recommend walking over towards Asia and finding seating there, it’s a bit of a longer walk but the views are incredible. With a handful of deliciously cheesy options, Eight Spoons Café makes it as one of the top eateries in Animal Kingdom due to their quick service, affordability, and uniqueness within the park. Next time you visit Animal Kingdom be sure to make time for a cheesy snack at Eight Spoons Café for a quick easy bite you won’t regret. Number 4 in our list lies within Animal Kingdom’s newest area, Pandora – The World of Avatar. Located in the north side of Pandora, Satu’li Canteen is a fast and casual dining experience for the semi-adventurous eater. The décor here follows the story of it previously being an RDA mess hall which has been transformed into the restaurant for fellow travelers. The decor offers special cultural pieces from Na’vi and Pandora’s culture and the food works with the story and décor. The meals are unique and stick to the Na’vi culture of eating, using their regions vegetables, grains, meat, and fruits from Pandora itself. It’s pretty cool being able to experience the culture and food of Pandora, it really makes you feel as if you’ve entered a new world. As for the menu options, if you have any food related allergies this restaurant has a vast set of options for you. They cover grain, egg, fish, shellfish, milk, nut, and soy allergies without compromising the integrity of the meal itself. The Satu’li Canteen is only open for lunch and dinner with a set menu that covers both eating periods. The main entrée is a mixed bowl. That’s right, a bowl with almost anything you can think of. Most of them have at least one main protein such as chicken, beef, fish, shrimp, or crispy tofu. Combo bowls are available, and each bowl is filled with yummy complimentary vegetables, toppings, and base sauces to match. I recommend the combination grilled beef and chicken bowl; the vegetable slaw is nice and crunchy and the boba balls add an interesting sweet element you wouldn’t expect. The kid’s menu offers similar bowl options in smaller sizes with the optional boba balls as an ingredient. However, if you have a picky eater this might be a little too adventurous for them considering all of the unique spices and flavors that go into some of the meals. One of the most unique dishes Satu’li Canteen offers is their cheeseburger. Well their rendition of a cheeseburger is special in that it comes as a cheeseburger pod. It’s steamed in a Bao bun and pretty creative and delicious if you ask me, like a dumpling but filled with the contents of a yummy burger. The meals at Satu’li Canteen are affordable and average around $15 per person. If you’re willing to splurge there is a sampler dish where all the bowls shine with multiple sauce and base options that is a bit more expensive. Even their alcoholic beverage items are in par with the rest of Disney’s prices at around $10 per beer. Outdoor seating is available in and around the restaurant and this spot is considered to be more of a quick eating option to fill you up and get you going so the service is fairly quick. The lines can get pretty long here with it being new but they tend to go fairly quick so be sure to anticipate a decent wait period. Satu’li Canteen offers really unique meals at a well-crafted restaurant with plenty of décor to back up its creative background story. The food is not mind-blowing but it’s good, different, and makes you feel like a true traveler knowing you filled your belly with local cuisine from Pandora. For those with extensive food restrictions, this place will meet all your needs and offer you delicious options. Surely this restaurant will make the whole family fall in love with Pandora and what it offers all over again. Settling in at number 3 is Animal Kingdom’s unique Asian cuisine in their Yak & Yeti Restaurant. Yak & Yeti is located in the mouth of Animal Kingdom’s Asia right as you cross the bridge from Discovery Island or enter through a walkway from Africa. Yak & Yeti is a themed dining experience where you can enjoy a meal surrounded by the cultural style of Nepal. The story of the restaurant falls in line with the story of the surrounding area of Asia. One of the best things about Yak & Yeti is you can smell them in the surrounding area and that really helps excite your taste buds to the Asian flavors to come. Yak & Yeti is a proper table-service restaurant so it’s not ideal for a quick bite on the go. The meals here a bit more elaborate and the restaurant itself is usually busy so reservations are recommended. You can expect a variety of meals from several different Asian regions. The average price for Yak & Yeti is not unreasonable for the type of unique theming this restaurant offers. On average you can expect anywhere around $20-$35 per person depending on the dishes chosen. Yak & Yeti is only open for lunch and dinner and is sure to fill you up so try to not enjoy a meal here if you’re planning on doing any extreme rides after. The great thing about Yak & Yeti is that there’s something for everyone. Menu options include Asian-style appetizers for sharing, noodle bowls, seared wok dishes, grilled options and even specialty meals with foreign flavors in mind. If you love Asian cuisine you’ll love Yak & Yeti, they’ve got everything from Chicken Tikka Masala to Korean BBQ Ribs. My personal favorite are the lobster garlic noodles, filled with veggies in a delicious stir-fry glaze, the lobster definitely competes for being the best part. There are vegetarian options as several regions in Asia are vegetarian so be sure to consult with the wait staff on which meals would work best with your dietary restrictions. If you’ve got kids who aren’t as adventurous with their meals, classic dishes are available such as mac and cheese and chicken tenders. But if your little one wants to eat along with the Asian cuisine smaller options are available of the teriyaki chicken and pork egg rolls. Yak & Yeti also offers several cocktails unique to their restaurant so don’t forget to sip on one before heading back out into the park. As mentioned before, a reservation is recommended for dining at Yak & Yeti. The lines are usually not terribly long depending on the season but the smells do drag people in and people tend to spend more time here than other more casual dining locations. So, if you want to ensure a meal a reservation shortly before your trip won’t hurt. Yak & Yeti is the best way to welcome you to Asia, with eclectic meals you won’t soon forget. Second on the countdown for best Animal Kingdom family restaurants is the always exciting Rainforest Café. It’s true that Rainforest Café’s can be visited in other locations, but I still will vouch for the Animal Kingdom’s Rainforest Café as the best one out there. Why? Because the experience of eating with version of animals and environments you’ll be interacting with live that day can’t be beat. If you’ve never been inside one, the décor is a treat for all ages. Once you walk in expect to be transported into a jungle where the sights and sound of wild animals are a part of your dining experience. One of the most fun things to experience while eating here is the sounds of elephants, gorillas, birds and thunder filling the air as you eat, making it an extremely exciting meal. With hundreds of colorful animals, plants, and sceneries to look at the family will not have a dull moment during their time there. There are several aquariums around the restaurant and the tree-top ceiling make you feel as if you really are dining within a jungle. Rainforest café offers family-friendly food for all for breakfast, lunch, and dinner. I recommend eating breakfast here before starting your day at Animal Kingdom. Rainforest Café is located right at the forefront of Animal Kingdom on the left side of the entrance. It’s one of the first things you see when you walk into the park. Stopping here to eat a fulfilling breakfast of cranberry waffles or a couple of breakfast sliders before entering the park will really help set the tone for the adventure you’re about to walk into. For lunch or dinner, the menu options involve seafood, burgers, soups, salads, beef, pork, chicken and the never regretted pasta. The Pastalaya is one of the best with a spicy twang to really elevate the taste of the linguini. For kids, the menu offers far more options than the other restaurants mentioned above and even offers fun dessert options fitted for a curious kid’s wild palette. If you’re looking to have dessert here, the sparkling volcano will be an exciting choice for the whole family. Indulge in a volcano sized chocolate brownie with multiple toppings including a finishing touch to help it erupt. Prices at Rainforest Café are reasonable but can stack up quickly, expect a high average of around $20-$35 per person when dining. Since this is such a unique restaurant in an even more unique location a table may be hard to come by. I highly recommend booking a reservation at Rainforest Café. Lines here, especially for dinner, tend to get long. Reserving a time a couple of weeks before your visit will place better odds at ensuring a table somewhere you’ll love, perhaps by the aquarium to watch the fish while you dine. Topping this list at number one is Animal Kingdom’s best restaurant. The food and the experience is like no other at Animal kingdom. Tusker House Restaurant is located in Africa towards the left side. The restaurant itself is a buffet-style eatery with a unique themed dining element attached to the experience, character dining at Disney World. The restaurant has four indoor dining rooms each with differentiating African theming. Everything is inspired by different African regions from the ceiling drapery décor to the tribe inspired wall pieces. While that’s special all on its own one of the greatest things about eating at Tusker House is that it offers character dining experience. Mickey and his friends all wearing safari gear will make their rounds through the restaurant and interact with guests at every table. This is probably the best way to get that picture-perfect moment with the characters without having to stand in long meet-and-greet lines in the park. Tusker House is open for breakfast lunch and dinner. The breakfast options are limited so it’s not recommended to go there during breakfast hours. Lunch and dinner offer more unique African-inspired options. It’s buffet-style so you can pick what you like and as much of it. The chutneys, curries, and spit roasted chicken are especially delicious. There are plenty of options for all types of dietary needs with many vegetarian options that are still flavored with varied African spices. You can even enjoy African alcoholic cocktails while you enjoy your meal. Eating here will most likely take a bit of time so be sure to carve out a section of your day to enjoy the time at Tusker house and look up when you can expect characters to join the dining experience ahead of time as well. Being a buffet and a character dining experience the prices at Tusker House are a bit pricier at around $40-$60 per person. 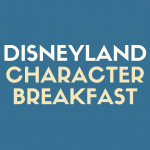 But consider it well worth it as you eat a satisfying culturally rich meal and enjoy the close company of your favorite Disney characters. I highly recommend booking a reservation for the lunch and dinner options at Tusker House as many people use it as a way to get one-on-one time with all the characters they couldn’t otherwise. Also, since the restaurant is buffet style the lines there may be a bit of a wait but there is ample seating so you shouldn’t feel too cramped within the space. Eating at Tusker House gives both your taste buds and your heart something to be happy about. 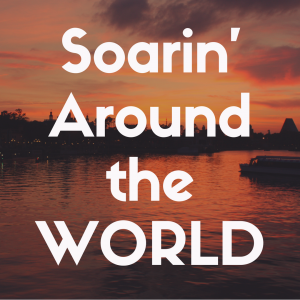 So there you have it, the top five restaurants in all of Animal Kingdom. 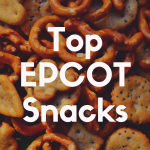 These are eateries your family is sure to enjoy no matter what their food preferences may be and sit as some of the best places to eat in Disney World. One of the great wonders of Animal Kingdom is that its eateries are so rich in unique flavors that it covers various regions and genres of food all within one park. 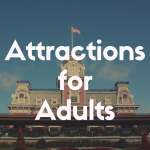 As you plan your trip to Animal Kingdom ask yourself which one or two of these options sounds best for you and your family to enjoy whether on the go or for a sit-down meal. 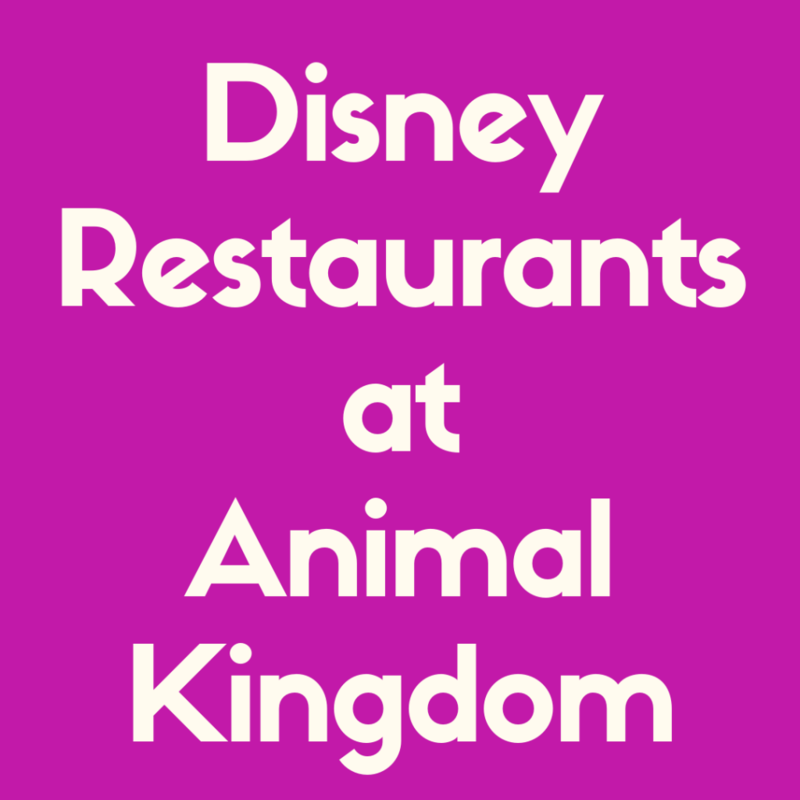 Either way the experience you have at any Animal Kingdom restaurant will set you up for a wild time at the park. 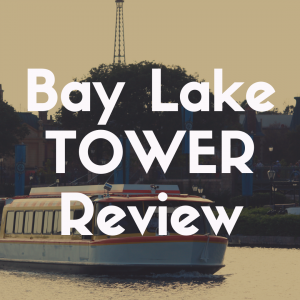 The Best Fast Passes for Magic Kingdom: What Should I Pick? !